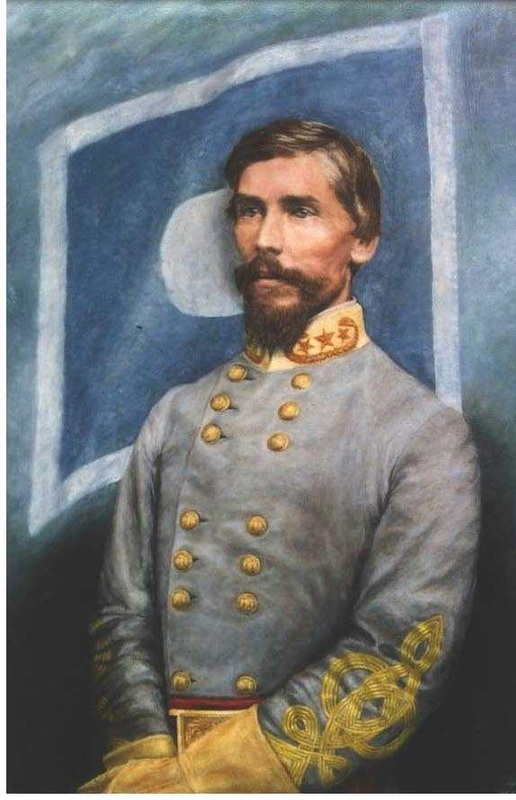 General Patrick Cleburne, Stonewall of the West. 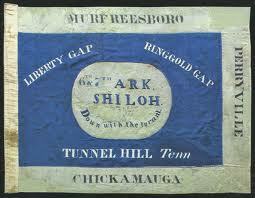 This is the original Arkansas belt plate displayed in The Museum of the Confederacy. 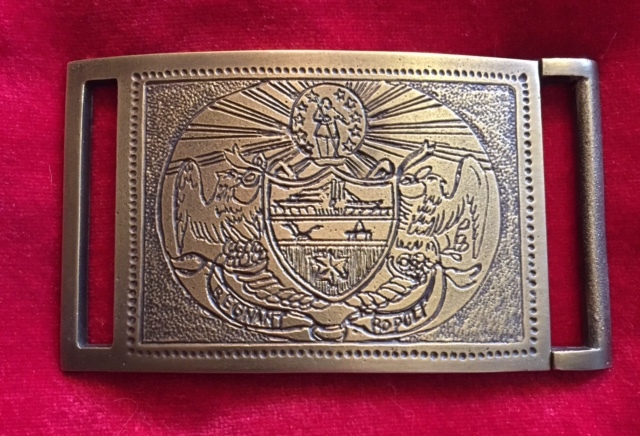 Very rare, less than five known of the 1200 manufactured. 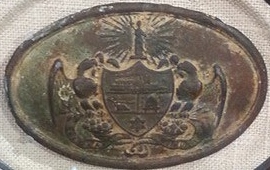 Cleburne's original Belt Plate on display. 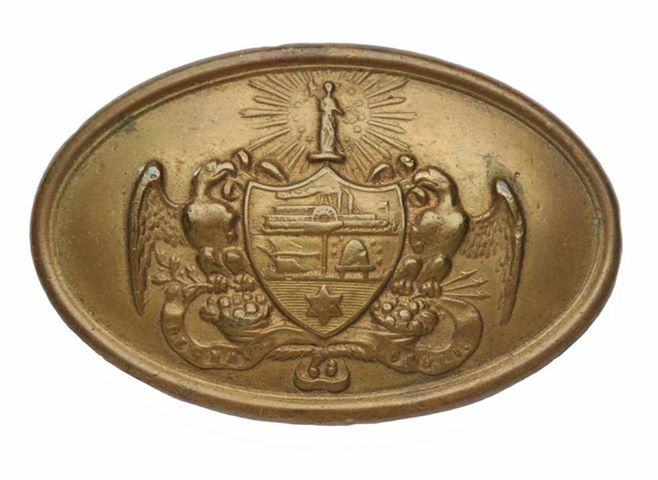 TG-PC Arkansas Sword Belt Plate Circa 1861. 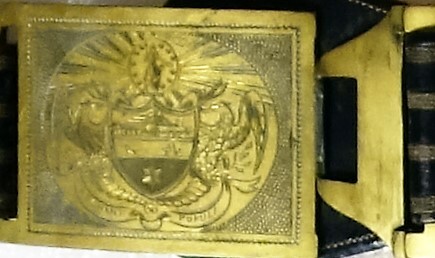 Type worn by Patrick Cleburne Stonewall of the West. 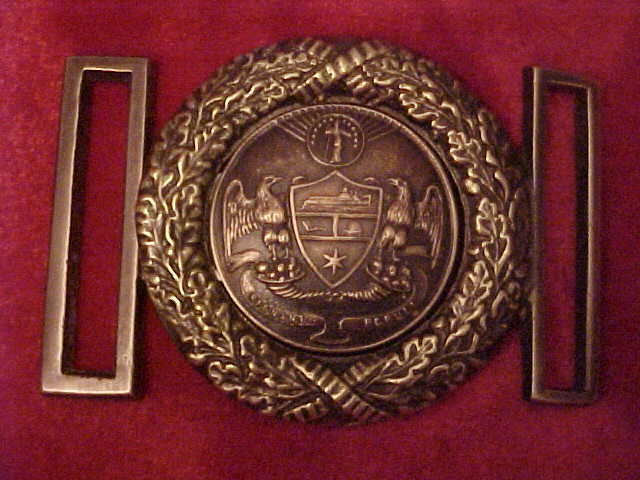 TG-73 Arkansas Belt Plate Circa 1960's but much better detail than the original. 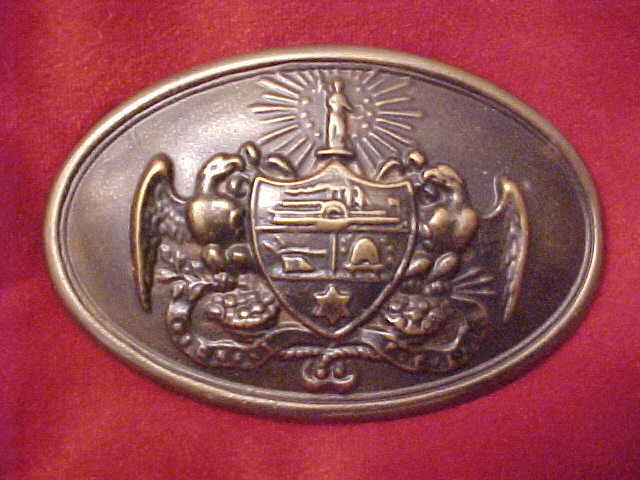 General Patrick Cleburne, Killed 1864 at the battle of Franklin, Tenn. Arkansas Sword Belt Plate. 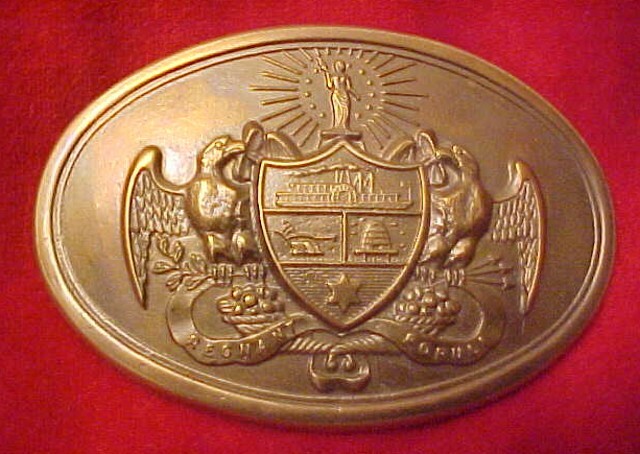 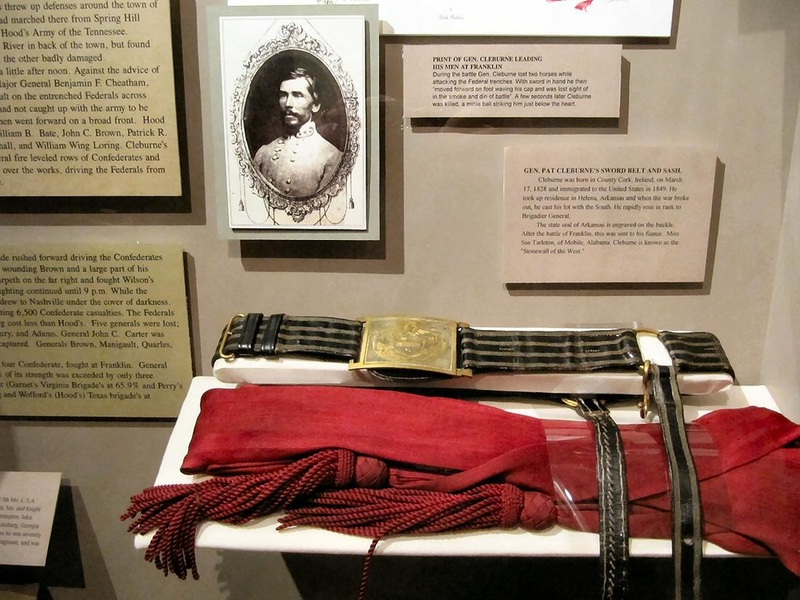 Cleburne's Arkansas belt plate on the original belt and sash.